Farmhouse homes are stylish and charming offering plenty of character and personality that will help to elevate your living spaces with rustic-chic style. Although the laundry room is a space where you go to do your chores and not spend a lot of time in, why not make it fun? It makes doing your chores much more enjoyable when you love spending some time in a more stylish space. Whether you building your home or just looking to give your laundry room a facelift, we have some inspiring ideas for you. 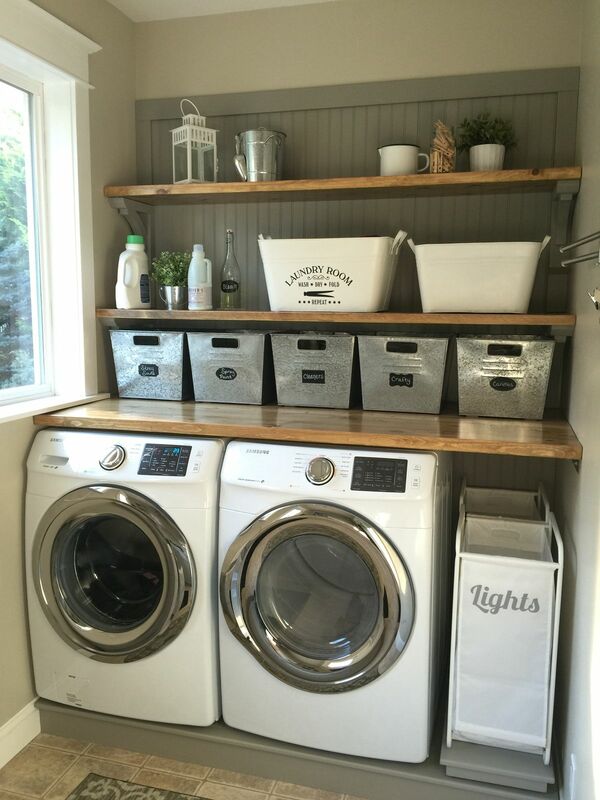 Have a look below for our amazing collection of farmhouse style laundry room ideas, including resources and links to full tutorials on how to re-create some of these looks on your own. We hope we leave you feeling inspired and don’t forget to let us know which one of this laundry spaces is your favorite and why in the Comments below! !